Last episode 1 post (unless their is another reader request for something specific). Episode 2 is only 2 short days away - yay! A reader asked me about finding DeAnna's dress she wore to confront Brad at the beginning of episode 1. 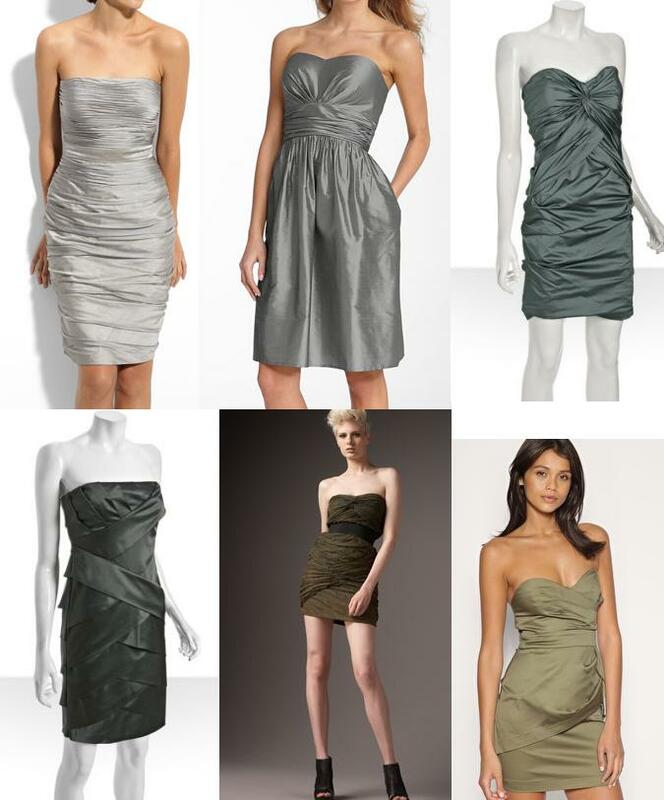 It looked a wee bit sagey green, but was a slight metallic silver strapless dress with a black belt and folds or pleats all over it. DeAnna's dress is stunning, but it's also expensive... at over $2,700 this dress is by Dolce & Gabbana. If you are interested in this dress - try calling your Saks Fifth Avenue to see if they have this ruched strapless dress in store (no longer online). I actually have previously blogged about this dress (in a different color) before, as it was worn by a Biggest Loser contestant in a show finale. See that here.